From April 30th thru Memorial day we will be open Friday, Saturday & Sunday from noon – 10pm. 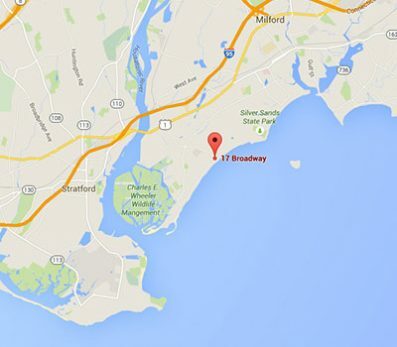 We’re located at 17 Broadway in Walnut Beach, Milford CT.
Find us using directions by Google Maps. Take I-95 in either direction to exit 34. Make a right off the exit and proceed to Naugatuck Avenue. Make a left at Naugatuck Avenue and proceed approx. 2 miles until it ends at Broadway. Make a right onto Broadway and the creamery is one block in on the right. Parking is very limited. There is parking along Naugatuck Avenue and three blocks down at the beach pavilion. You can’t miss us. 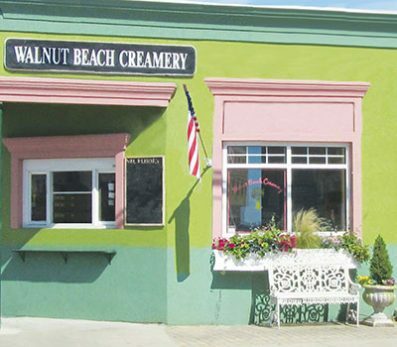 We’re the only pea green and rose colored building in the neighborhood.